The world can be a painful place. Even with plenty to go around, so many go without. While some nations flourish, others fall under the boot of poverty, famine, drought and tyranny. It can be enough to make anyone feel helpless, especially when you consider the scope of the problem and how little can be done without major interference from large, governing bodies. But that doesn’t mean that you can’t do anything, at all. You have doubtlessly heard that adage that one person can make a difference. It is true; you might not be able to solve the crisis, but you can change a life. For those who frequently travel, there are three ways that you can use those trips to feed the hungry around the world. This charitable organization is an interesting one. 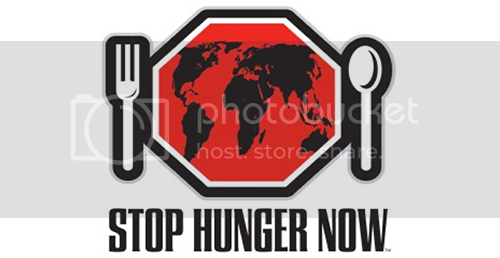 They are dedicated to providing multiple ways to donate to causes, their primary concern being the hunger crisis. But they also handle things like housing, and you can choose which ‘group’ to be a part of. You can join events, like the Hope for Haiti 5K, when in the area. An employer donation match program is available, which you can take to your bosses at work to see if they will sign on. Or, you can join something like the American Express charitable rewards program, of which this organization is a part. My favorite way as a traveler is the ‘First Friday Fast’. Every month, I end up doing at least a couple of days of travel for my job. During that time, I use one of those days to cut out a meal I would have on the road. That money goes into a donation every month. If you are thinking of going on a lavish vacation or cruise, this is the way to do it. This organization offers fully inclusive vacation packages around the world, to locations such as Disneyland and Disneyworld, golf hot spots, world class resorts in countries like Mexico, country tours in Israel, Egypt and Jordan, cruise liners, and a whole lot more. Not technically having anything to do with travel, this is still a site that you should bookmark and visit often. It provides a series of buttons that you can click daily to provide help to charities. That’s it; no purchases, no signing up, nothing. You just go to the site, click on the button in each tab, and you are done! Their charitable giving includes hunger, breast cancer, animals, veterans, autism, diabetes, literacy and the rain forest. Another great site to keep in mind is Free Rice. They provide games that you can play, with each bit of correct trivia adding rice to a bowl. That rice is translated into real grains, which are then donated to feed the hungry around the world. Just spending five minutes playing can provide a full meal. You can also sign up for an account that lets you join groups, log how much you have given, and more. There are actually many more fun ways to help a charity from social media to playing with gadgets! Let’s start making a difference! Do you know of any organizations that help travelers feed the hungry, or give to other charitable foundations? Let us know in the comments.